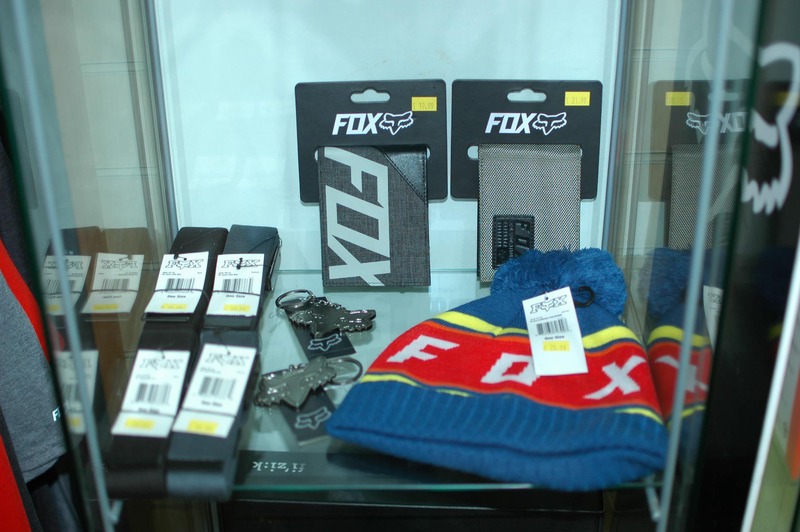 At Bournemouth Cycleworks we have a great selection of cycling accessories from all the top brands to make sure you have the essentials, or to give you bike that something extra! 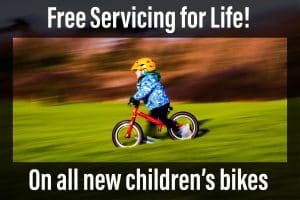 With everything from cycle helmets to cycle lights, gps computers to saddles, grips to panniers and everything in-between. 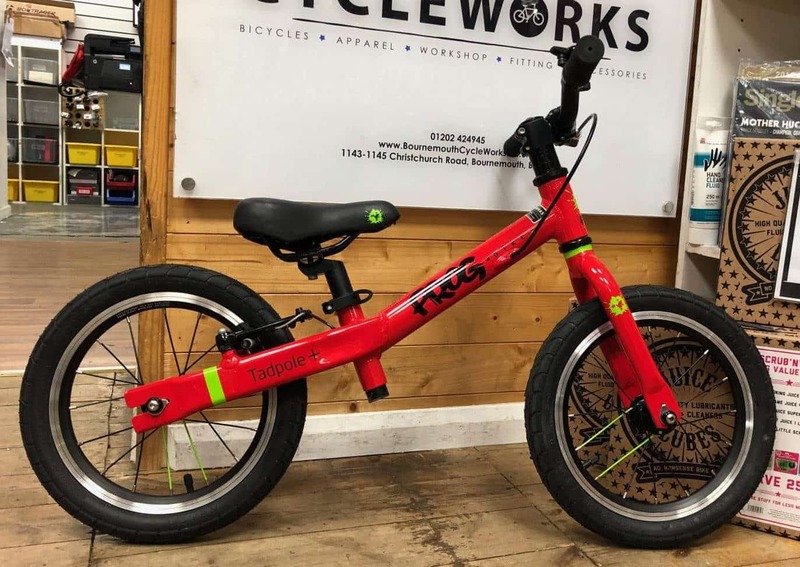 So if you just want to be safe or you want your trusty steed to look great as well then you’ll find all you need at Bournemouth Cycleworks. 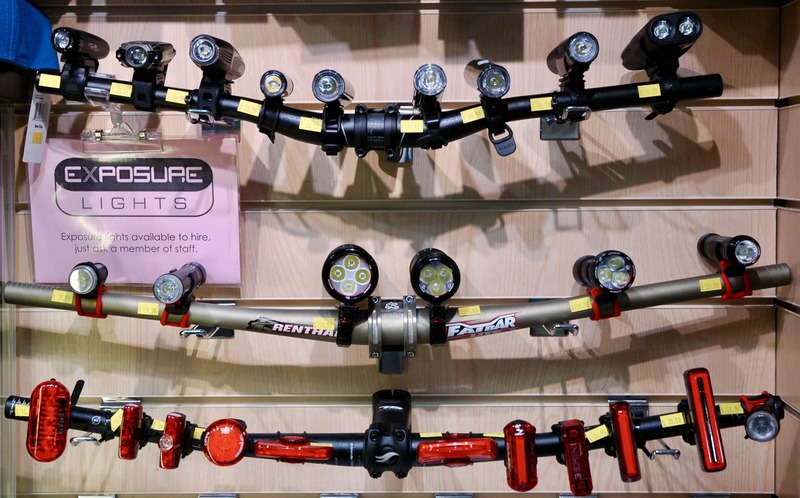 If you are unsure what might fit, or what type of rack you’ll need, pop in and have a chat with our friendly, knowledgeable staff. 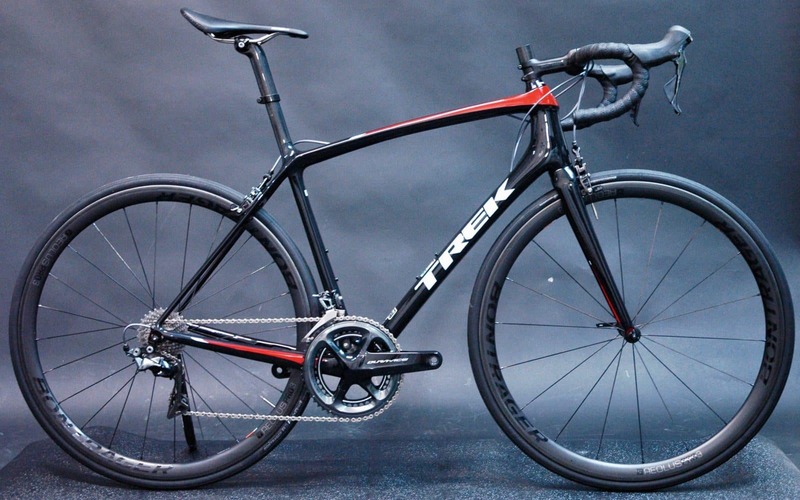 We are always happy to help and are always up-to-date with the latest cycling kit, as well as having an encyclopaedic knowledge of the old stuff too! If your purchase is going to be a big ticket item, then the chances are we can get you a demo item to try. There is nothing worse than spending a large amount on money on something you are not sure you are going to like! Speak to a member of staff in store for more details. 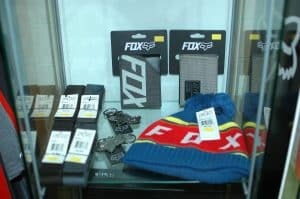 We stock a massive range of cycling accessories from all the major brands, like Topeak, Hope, Cateye, Fizik, Abus, Fox, Giro, Shimano and more. 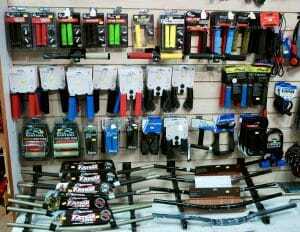 We have a wide range of saddles, and a demo rig for you to test them on. 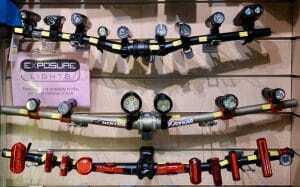 You can try any of the saddles we have in stock, with the flick of a switch you can swap to a different one. Using our special “switch it” kit, you can get a real feel for the saddles before you part with your hard earned cash! You can book at saddle fit if you want to really get the most out of your new saddle or are having particular issues. If you want to make some changes, but are not sure what might fit, or what is available, then just ask! If we don’t have it in stock, we can probably get it. 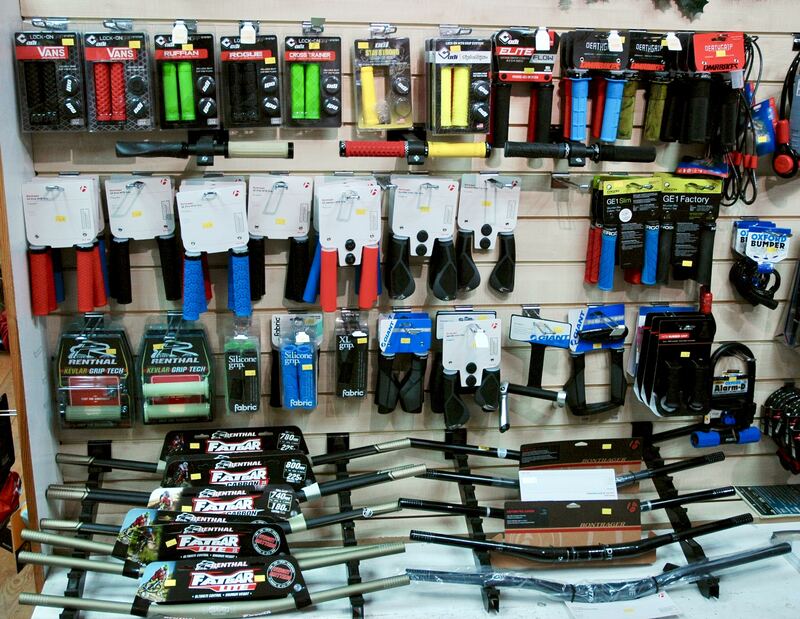 Come down the the shop for a browse are and get some ideas, or give us a call on 01202 424945 if you have any questions!